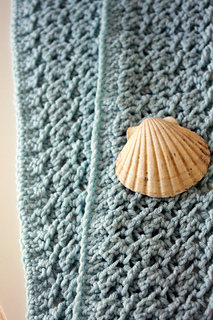 This beautiful textured blanket is so easy and fun to work! Uses one basic stitch - a variation of an extended double crochet. It also uses a 1 row repeat so it’s quick and easy to memorize and reversible - texture is the same on both sides! You may use yarn type and hook size of choice with this pattern with excellent results. You may also work to your own gauge and make it to any size. It’ll make a perfect baby blanket or larger size throw! Sample blanket measured approx. 40” x 30” and used 1200 yards of a DK weight merino wool. Includes close up stitch photos to make it really easy to follow.